Playing classical guitar can be challenging. 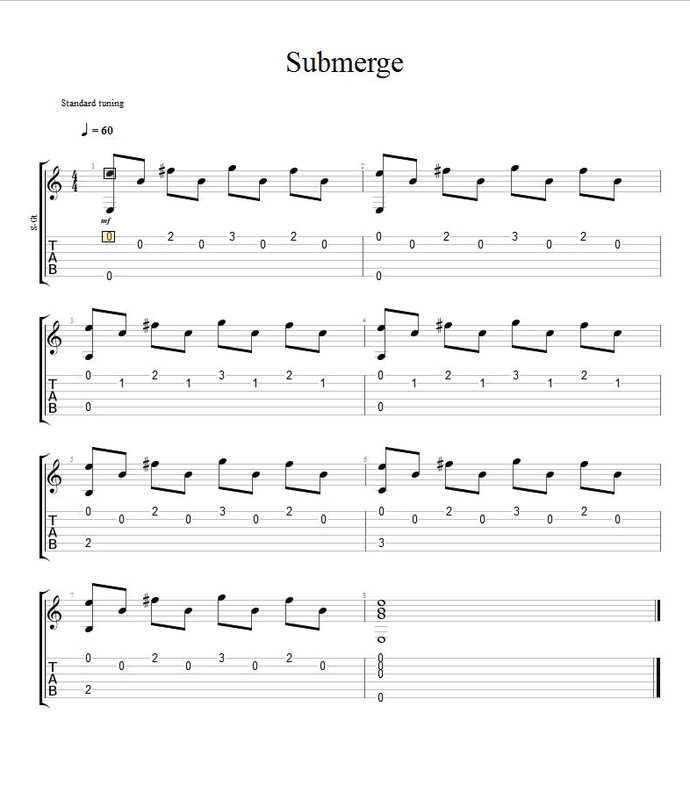 It requires skills that include extreme finger dexterity, fluidity in arpeggio playing, and the ability to play well with strum and finger techniques. Most classical players also possess a more extensive knowledge of musical theory that guitar player sin other genres. There are numerous ways to learn classical guitar, but unless you’re highly disciplined, a guitar teacher is often the best route. Guitar instructors understand the discipline necessary to learn classical guitar and have developed methods designed to help you master the skills needed to learn classical guitar playing. Below is an example of the type of lesson you might encounter in advanced classical guitar classes. This is a fingerpicking exercise designed for beginners in classical guitar. While it’s a simplified example, it illustrates the type of lesson you’ll encounter when you get started with classical guitar lessons. There’s no rule that says you have to use a teacher to learn classical guitar, but if you decide to go it on your own and you’re ab absolute beginner of the form, you should consider listening to some classical guitarists Segovia, Alan Banks, and Liona Boyd, and any of the 18th and 19th century masters. As a classical guitarist, you’re also more likely to incorporate scales into your practice sessions. 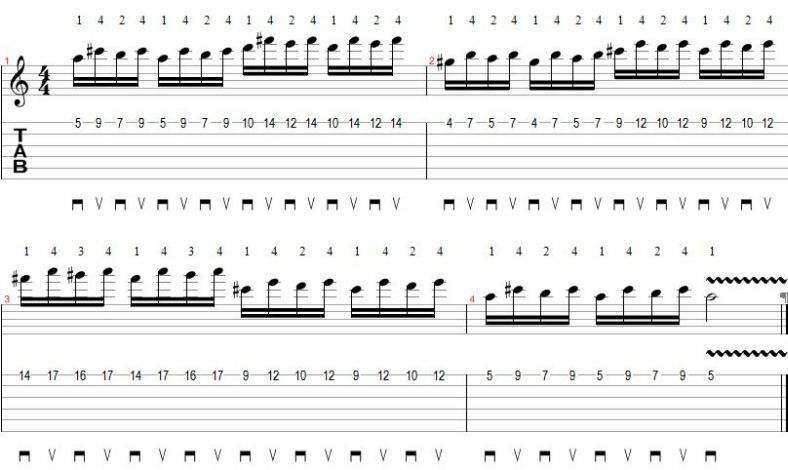 Scale exercises like the one below are useful in developing an extensive knowledge of the fretboard and help develop the coordination necessary to play some of the fast, complex runs found in classical guitar. The first example shows some of the articulation markings you’ll encounter. The second exercise is a picking exercise played with sixteenth notes. 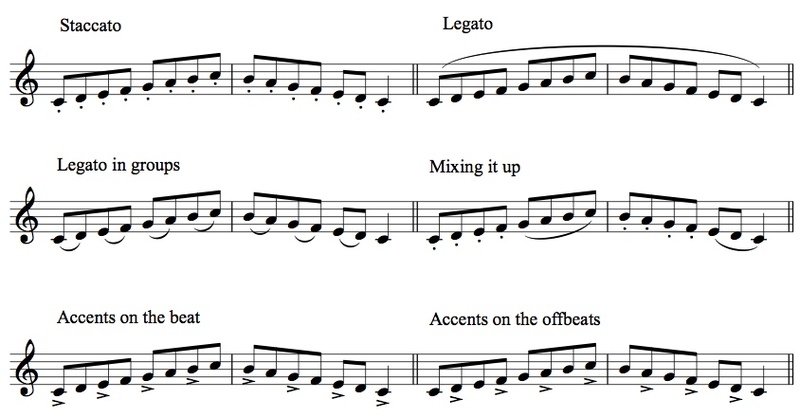 The example after this one is a triplet based arpeggio pattern with a moving bass. Start slow and master this example to hear some of the distinct characteristics of classical guitar. If you choose to teach yourself how to play classical guitar, consider finding a good video course to help you along. A video lesson series gives you the advantage of being able to watch a teacher and refer back when you need reinforcement. The desire to learn classical guitar is admirable, but be aware going in to it that it’s a style of playing that offers challenges beyond those found in some other styles of music.